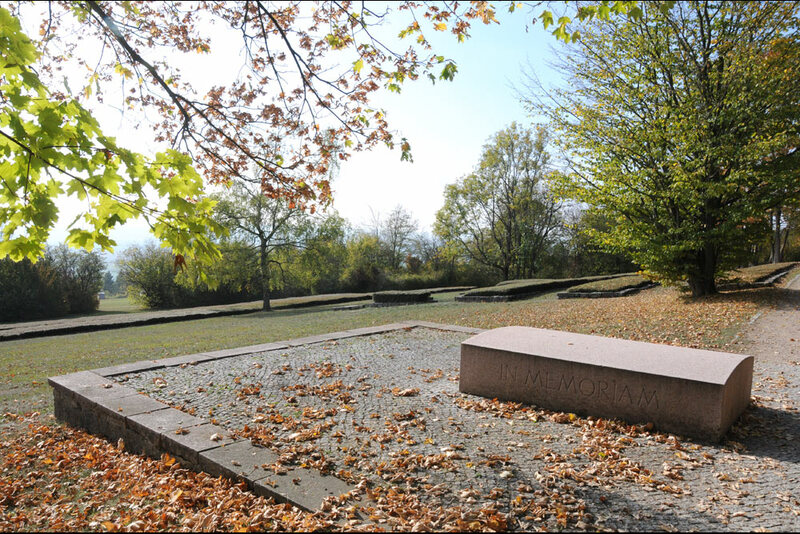 National Memorial Site Buchenwald Concentration Camp. 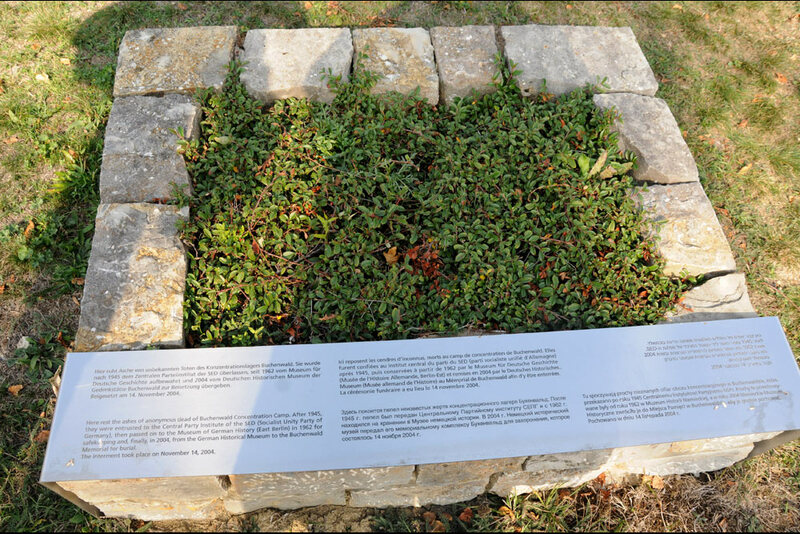 At the Memorial Site Buchenwald Concentration Camp is an Exhibition Building about the history of the Memorial site, Memorials, Mass graves, graves with urns and as-graves. 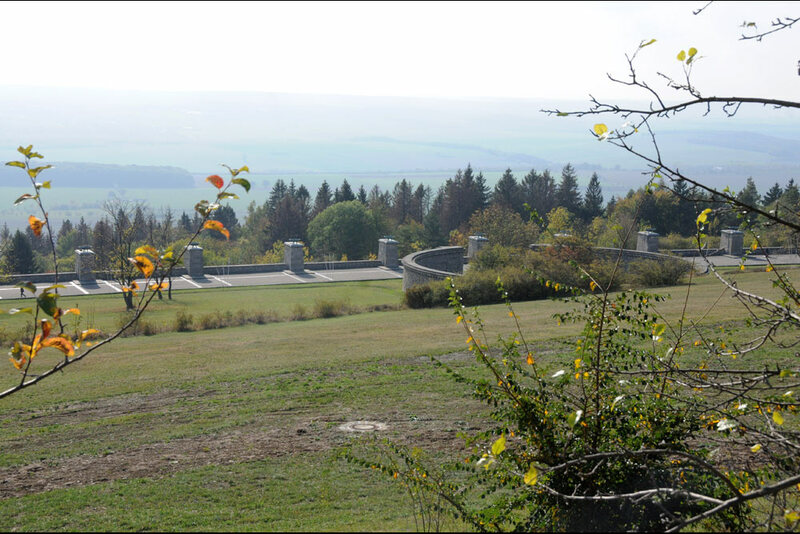 From Weimar the Ettersburg Strasse leads to Buchenwald. 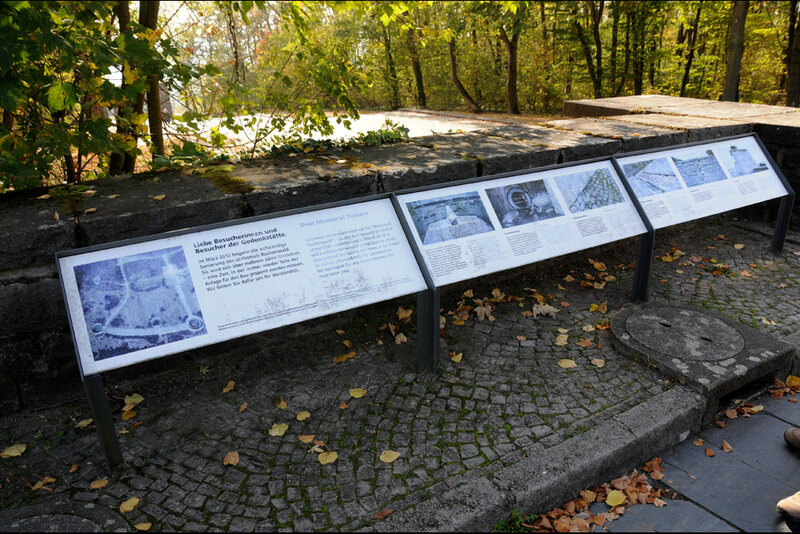 Just outside Weimar starts the Bloodstreet, constructed by the prisoners. Part of the street is still in the original state. 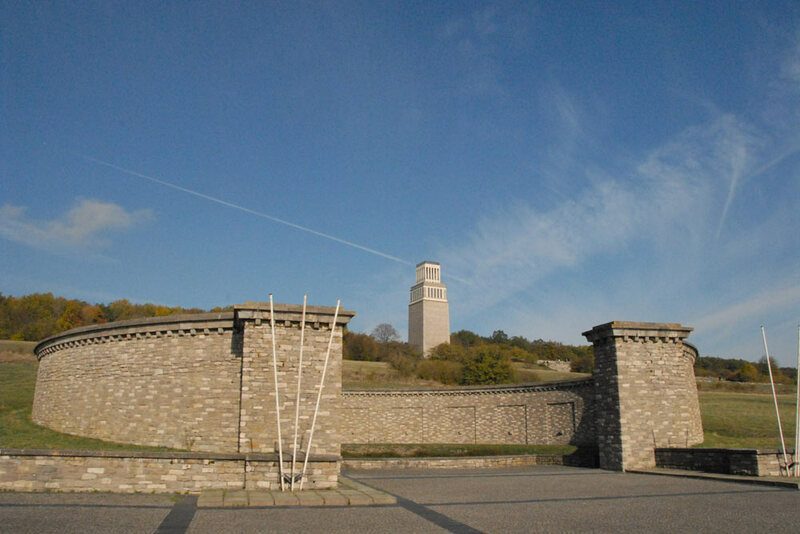 Approximately three kilometres further are the Mahnmal Memorial with the enormous belltower, the Street of the Nations (were all the different nationalities are mentioned) and the sculpture group which portrays the resistance in Buchenwald. 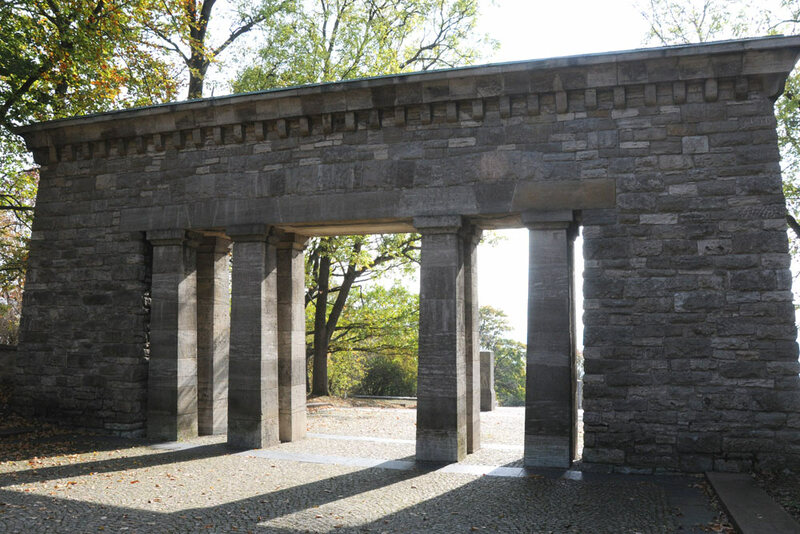 The Mahnmal can be seen from great distance and serves as a warning against what has happened. 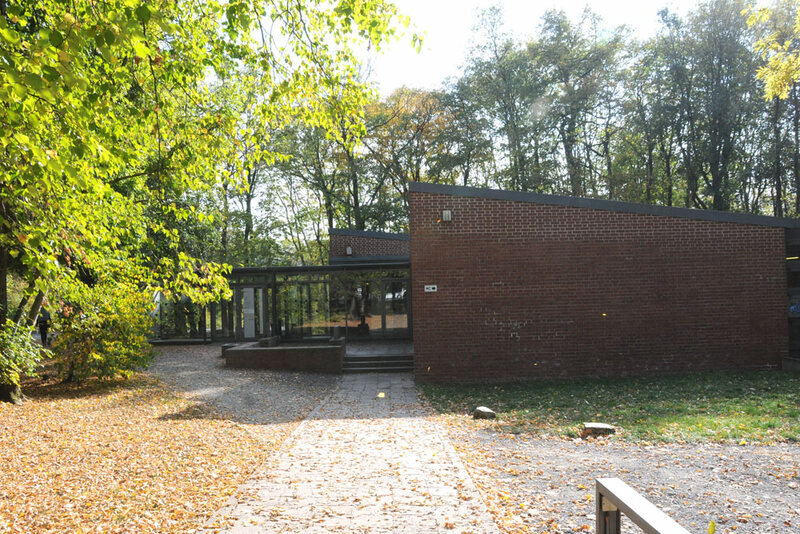 In the grownover area in the neighbourhood stood the former SS-garage and the Gustloff Armsfactory II. 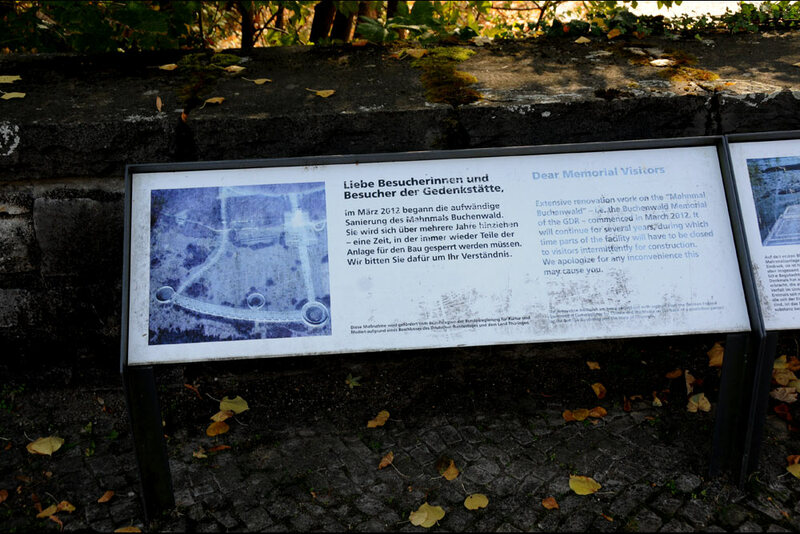 After this you pass the former station of Buchenwald where as from March 1943 thousands of prisoners arrived.